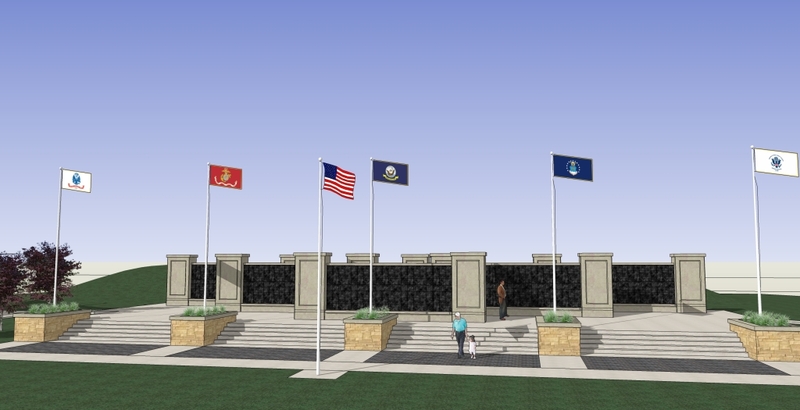 The Reno County Veterans’ Memorial project is opening up the ability to sponsor one (or all) of the five flags which will be on the memorial. Each flag will be on a 20′ spun aluminum pole and will be 4′ x 6′. You can choose to sponsor just one flag and pole for $3,000 or all five branches for a total of $15,000. Sponsors are able to choose which branch of service to sponsor as long as it is available. Sponsorship plaques will be attached to the base of each flag pole denoting the sponsorship. Funds are officially donated to the Reno County Veterans Association. The Reno County Veterans Association is a tax exempt organization under the IRS tax code 501 (c)(3) with donations deductible under IRC Section 170. The Reno County Veterans Association’s tax ID number is 47-4024766. If you are interested in learning more about how to sponsor a flag, please fill out the form below.